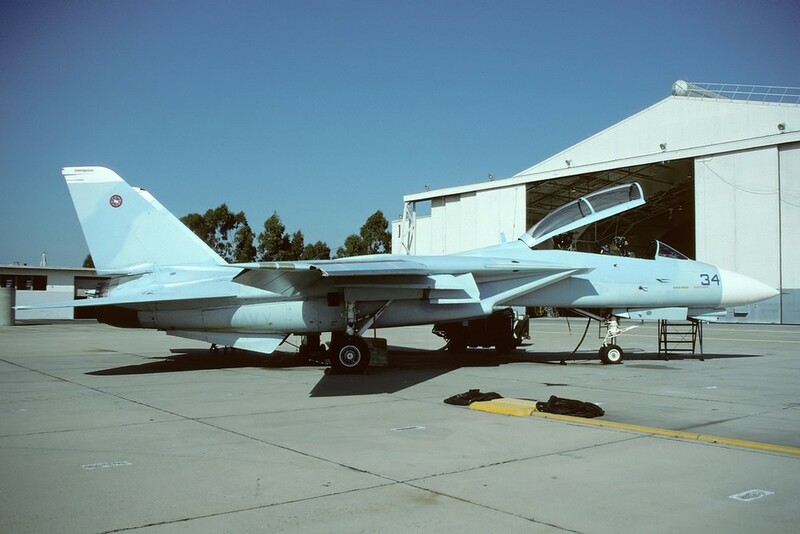 The United States Navy Fighter Weapons School, better known as Top Gun, is the ultimate Fighter School of the United States Navy and had its home at the former Naval Air Station Miramar in Miramar, California until 1996. 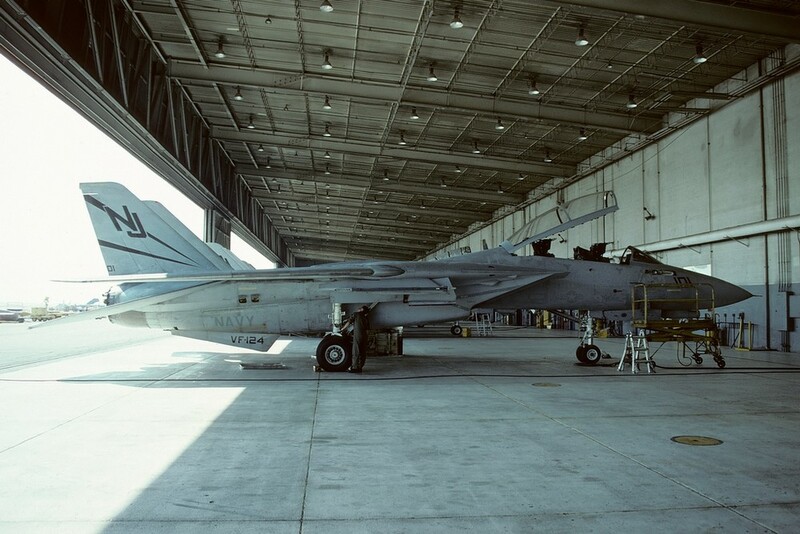 Miramar is with over 24.000 acres (97 km²) one of the largest military airbases in the world (with an excess of ca. 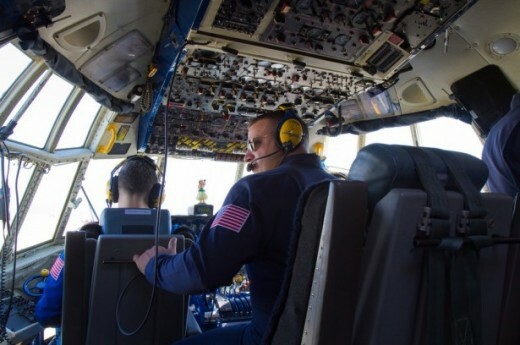 200.000 flights per year). 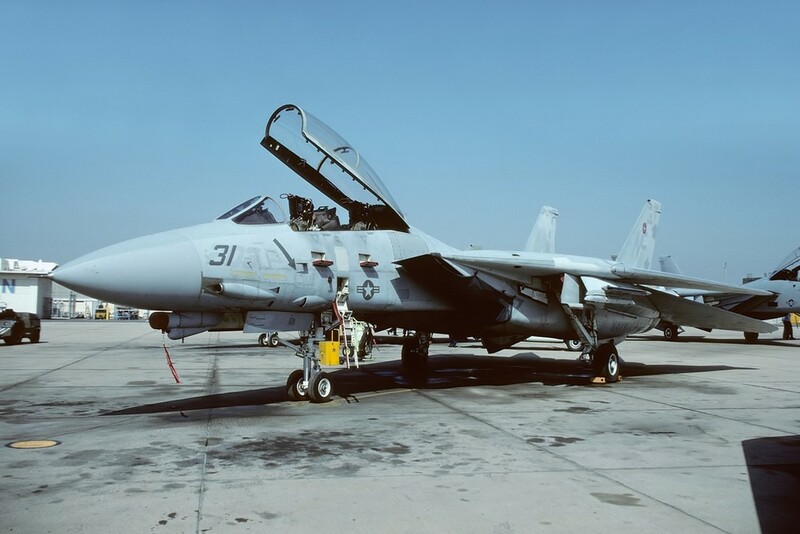 Top Gun was founded on 03rd March 1969 to train pilots air tactics to encounter the bad results of the fighter pilots in the Vietnam war. 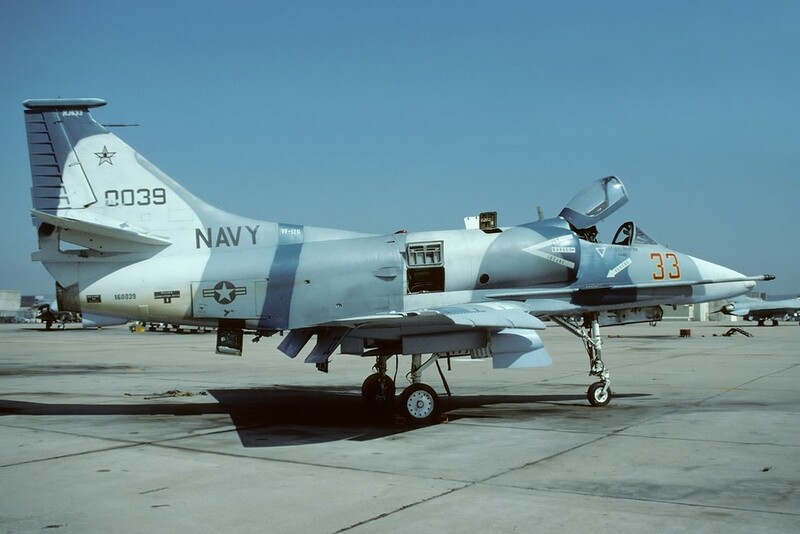 For the first time, the so called dissimilar air combat training (DACT) was introduced, in which the American pilots didn’t fight against the similar plane they were flying themselves but against different, often smaller aircraft like they were used by the Soviet Union. 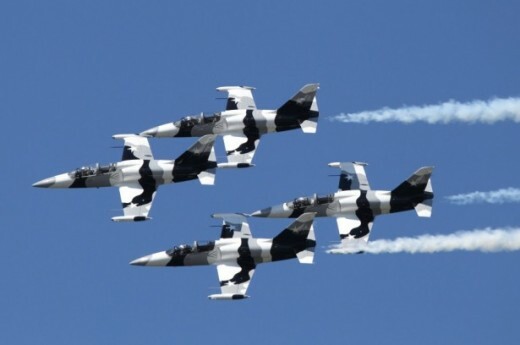 The course lasted in the beginning four weeks, later it was extended to five weeks. 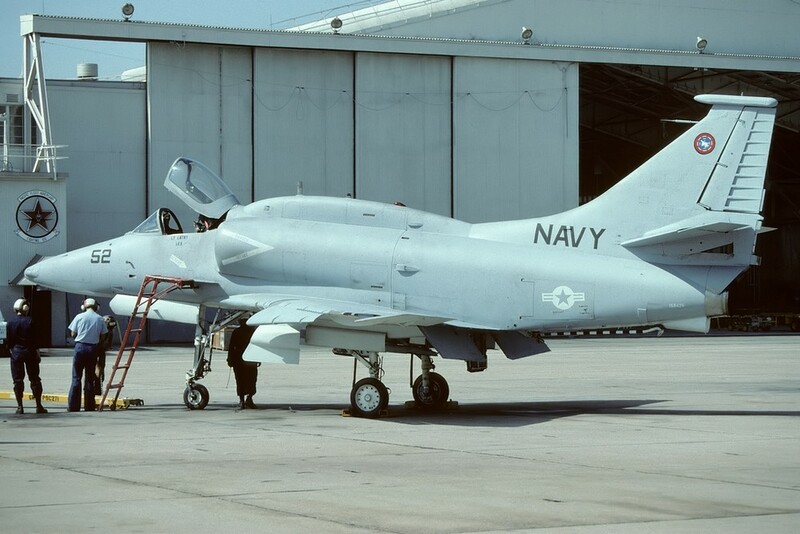 The crews of the F-4 Phantom II fought at Top Gun against the A-4 Skyhawk (simulating subsonic aircraft) and the F-4E Tiger II, which was simulating supersonic aircraft. 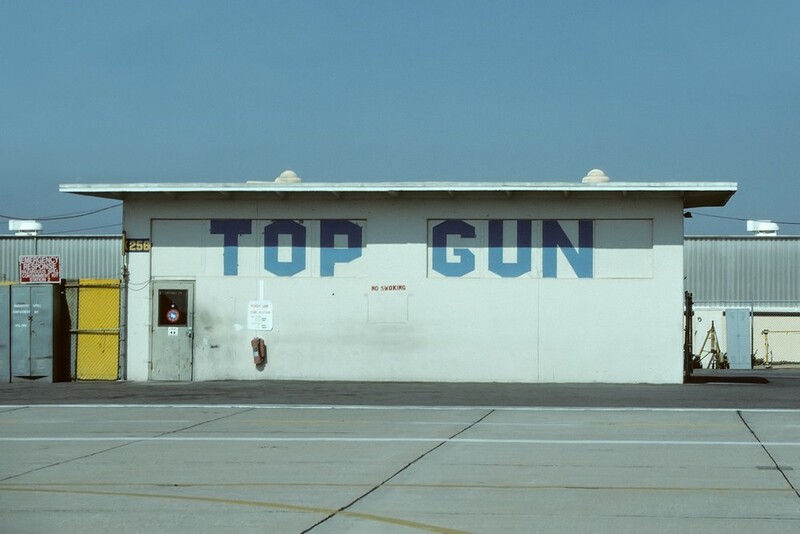 The first commander of Top Gun was Ron “Mug” McKeown. 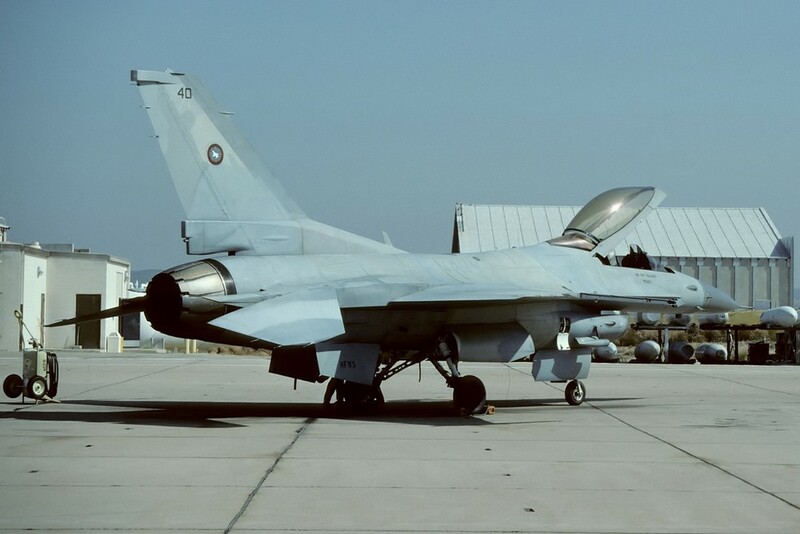 The courses were manned mostly by pilots of the “front-line-squadrons”, who should give their knowledge of the course afterwards to their squadrons. 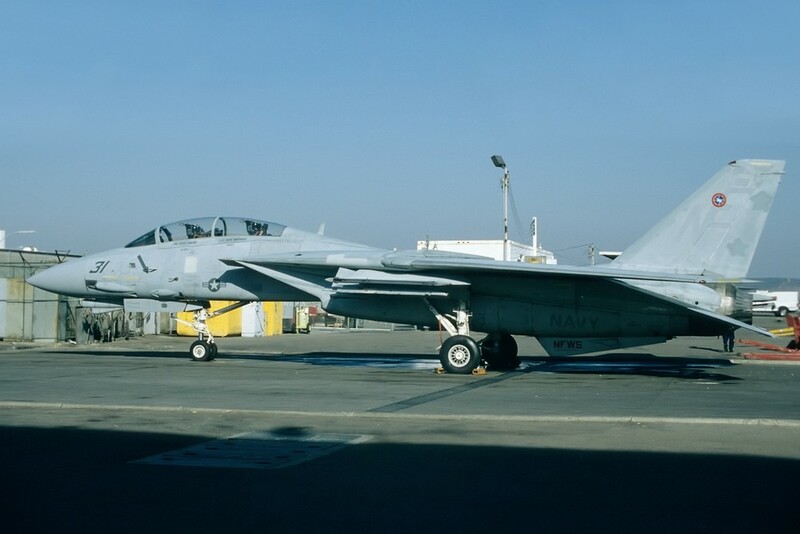 In the 70s and 80s, the F-4 in the Navy was replaced by the F-14 Tomcat and the F/A-18 Hornet, so the “enemies” at Top Gun had also to replace their aircraft with more modern aircraft. 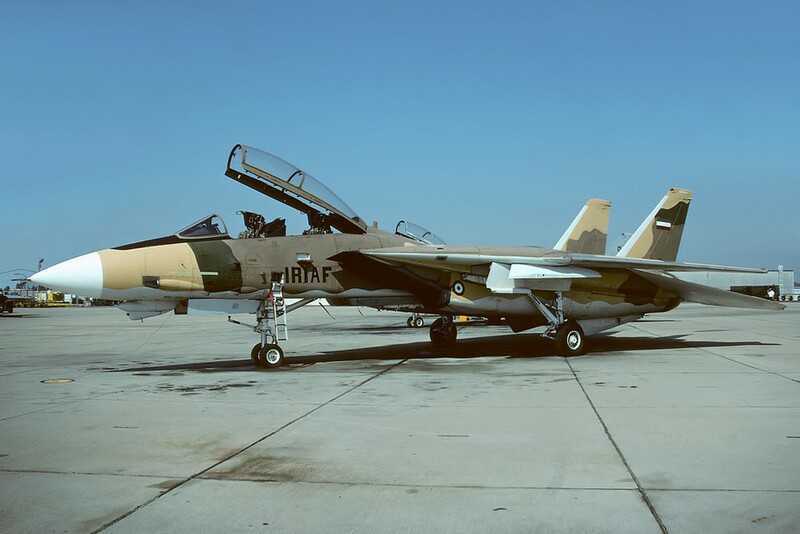 The F-14A was also used as aggressor due to its similarity to the Su-27 Flanker and the use of it by the Iran. 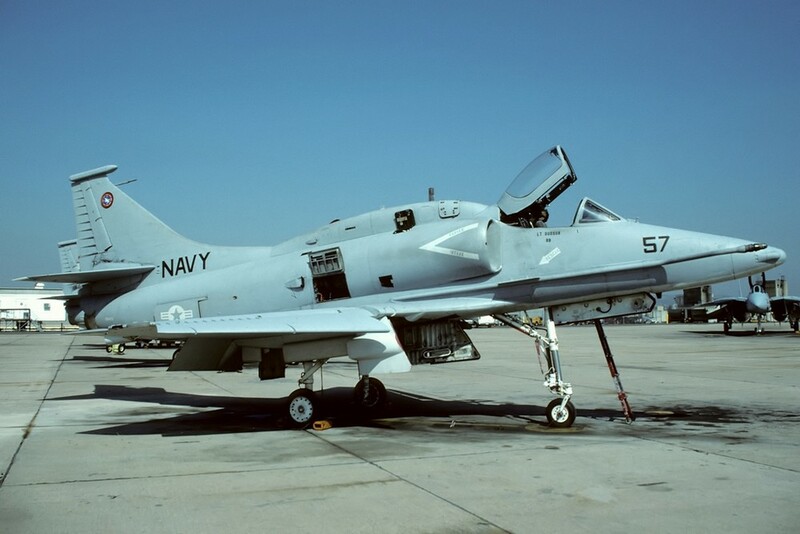 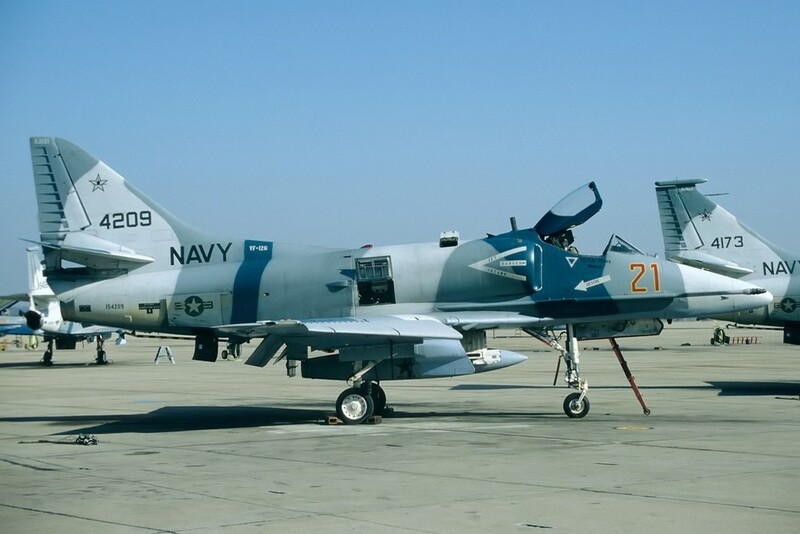 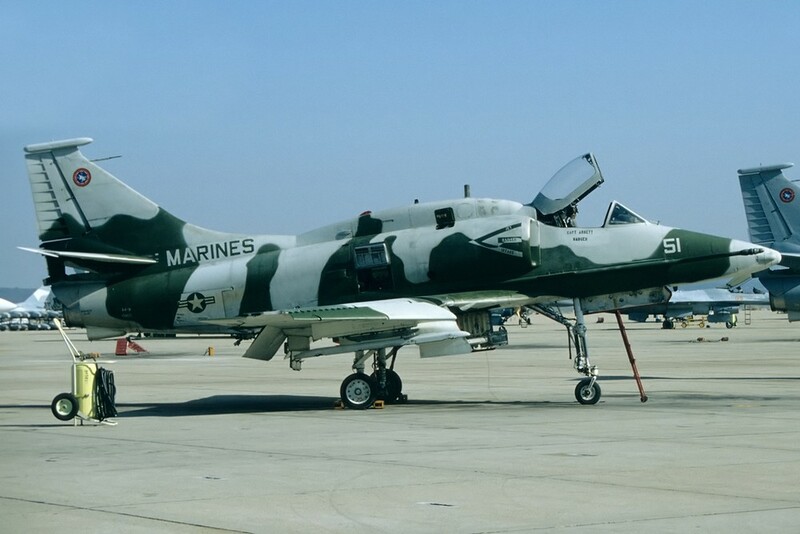 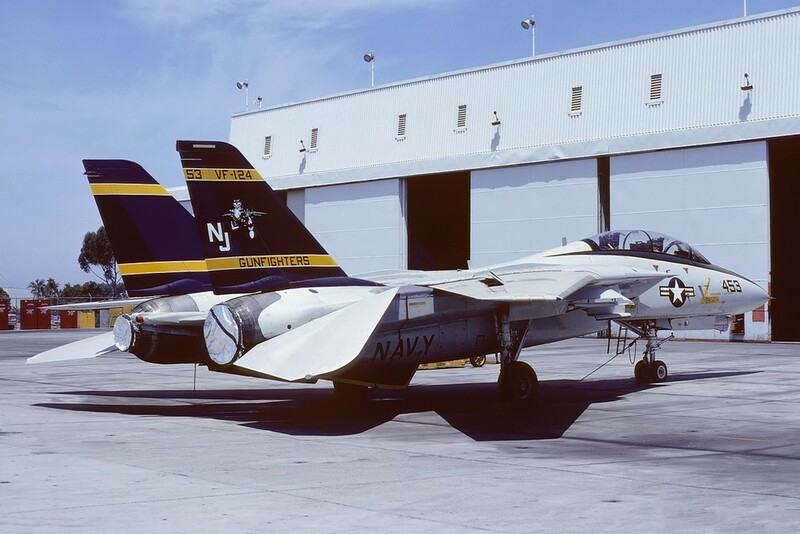 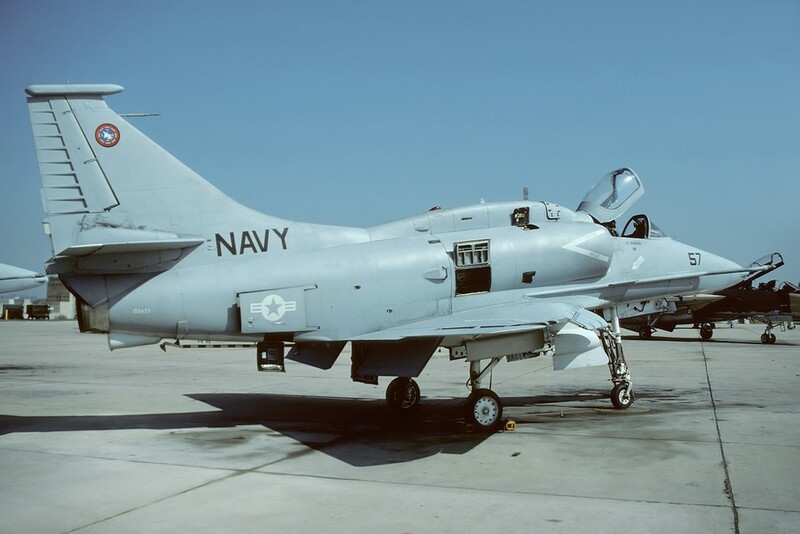 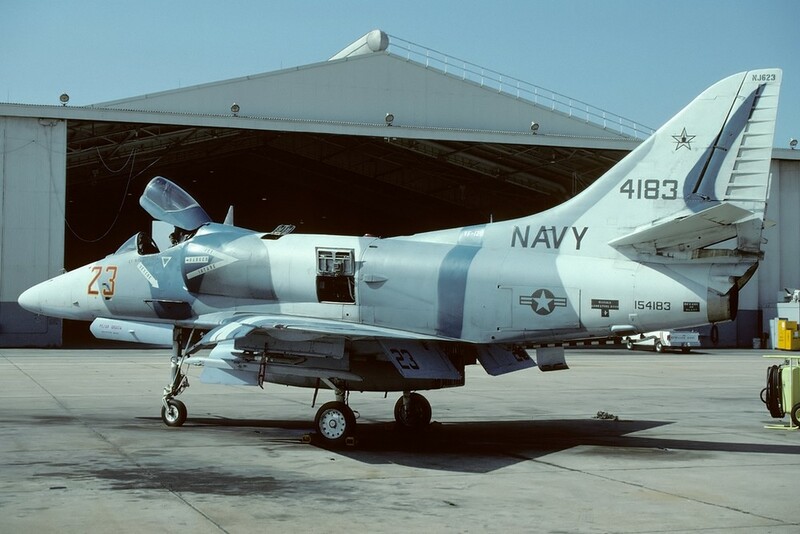 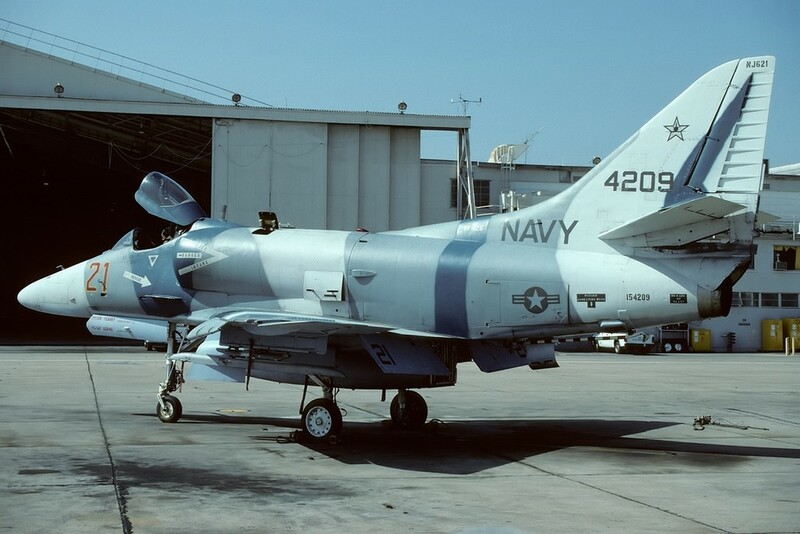 The Naval Fighter Weapons School (NFWS) had some own aircraft on strength, additionally some Tomcats of the training squadron VF-124 “Gunfighters” were used. 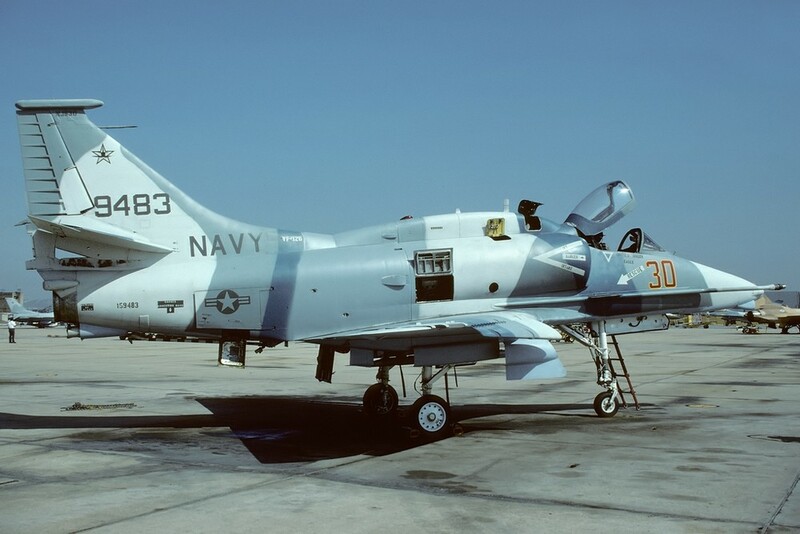 At some point some T-38 Talon were borrowed from the USAF, later some F-5E/F were taken over from the USAF. 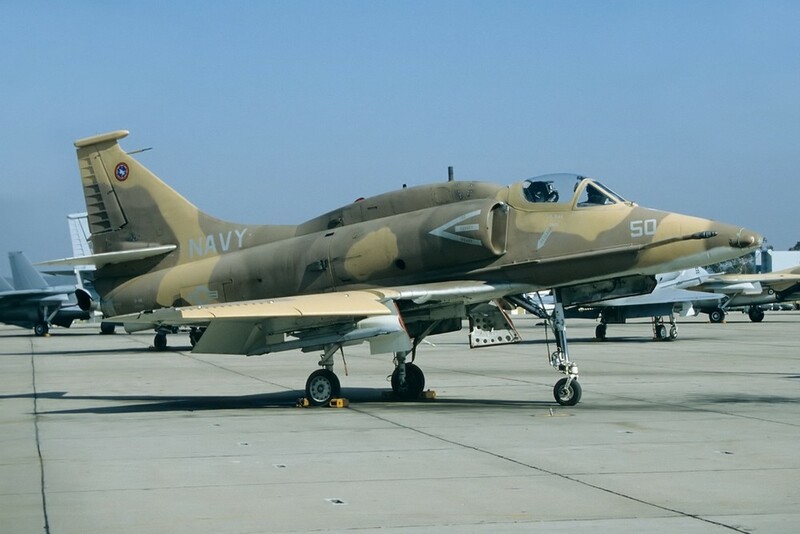 These aircraft were nowadays replaced by the F-5N. 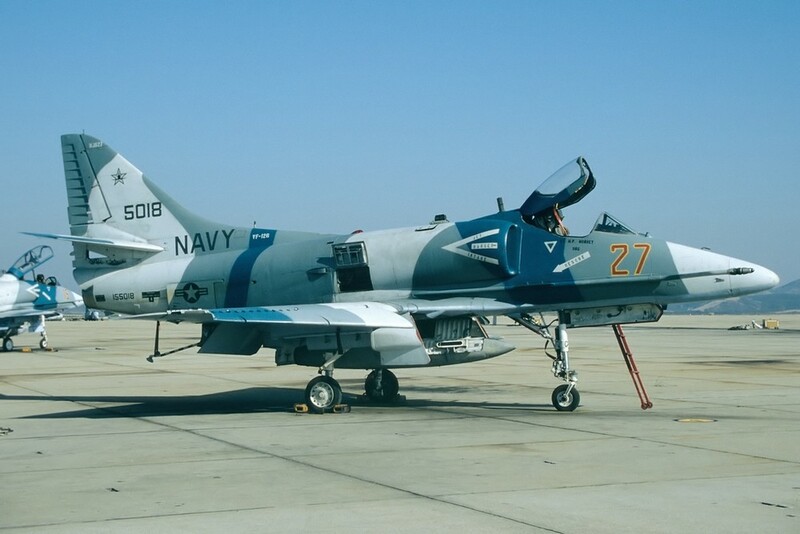 The Swiss Air Force sold the US Navy 44 of its redundant F-5E, which were modified by Boeing to the F-5N. 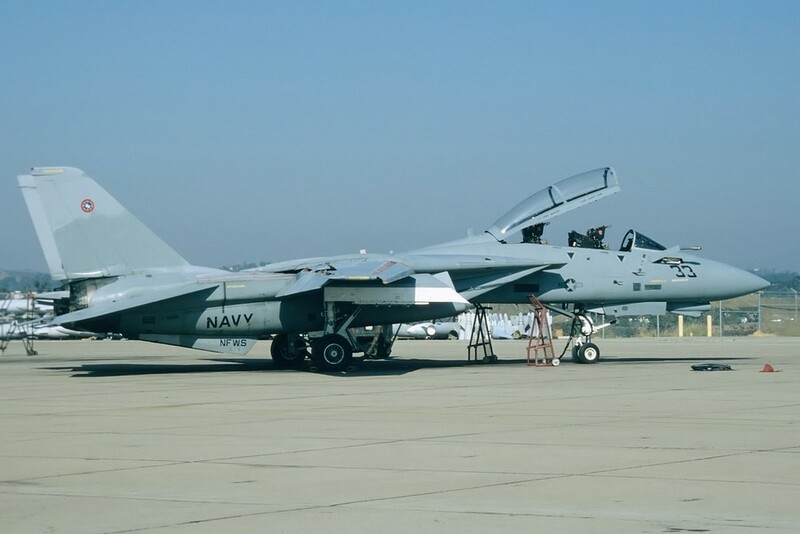 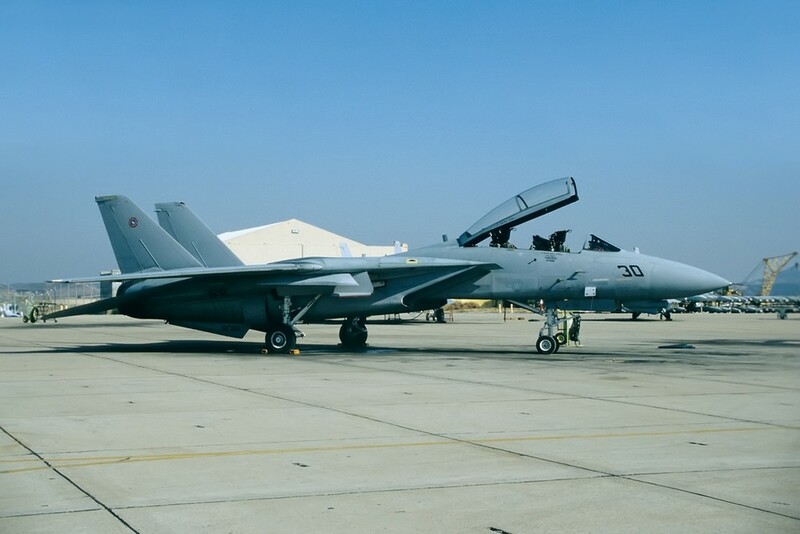 They’re flying with VMFAT-401 at MCAS Yuma, Az., with the VFC-13 at NAS Fallon, Nv. 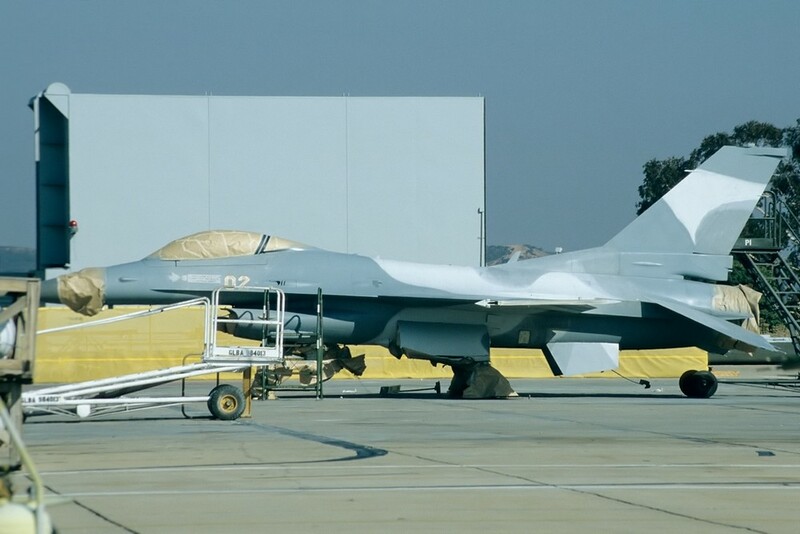 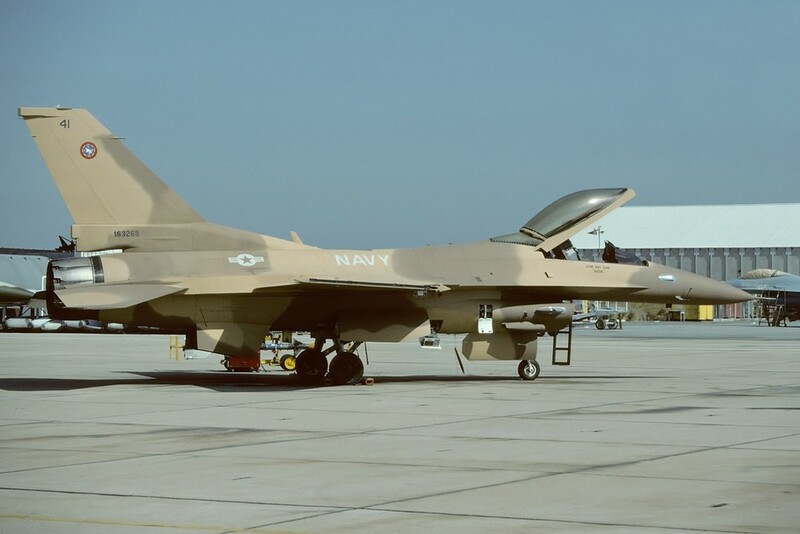 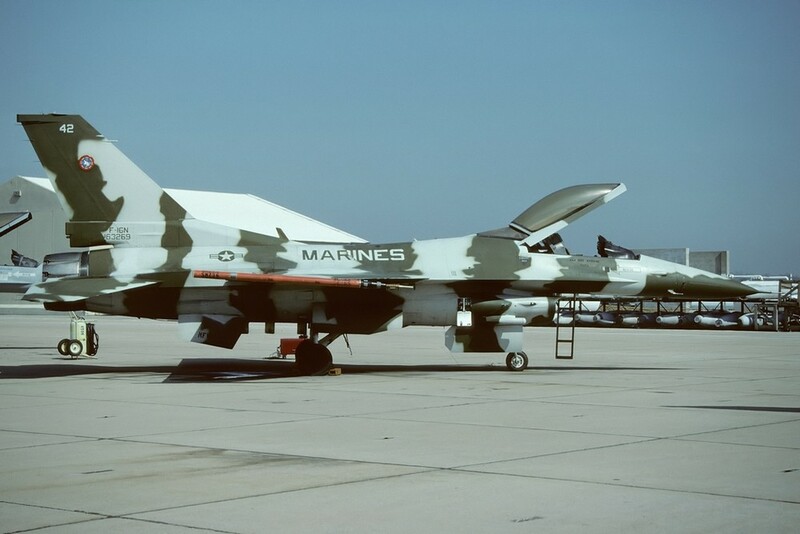 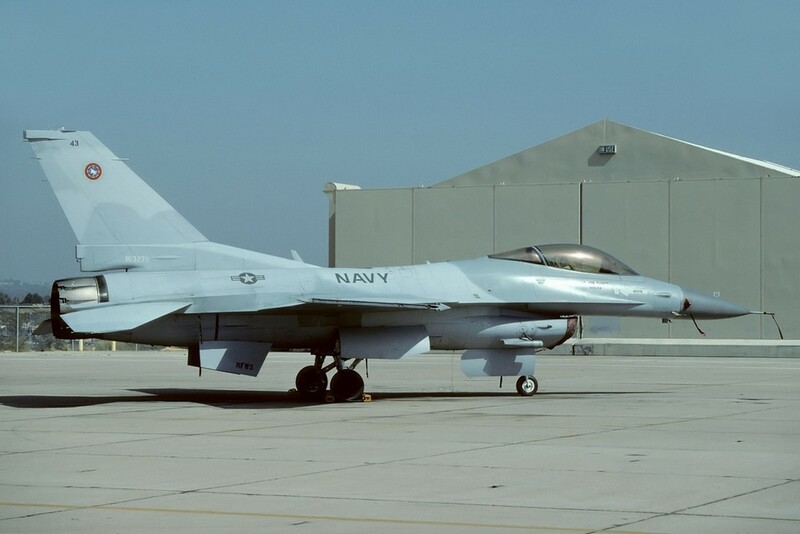 and the VFC-111 at NAS Key West, Fla.. From 1987 to 1994 some F-16N/TF-16s were used, theses based on the F-16C Block 30 but had a less sophisticated radar and no internal gun. 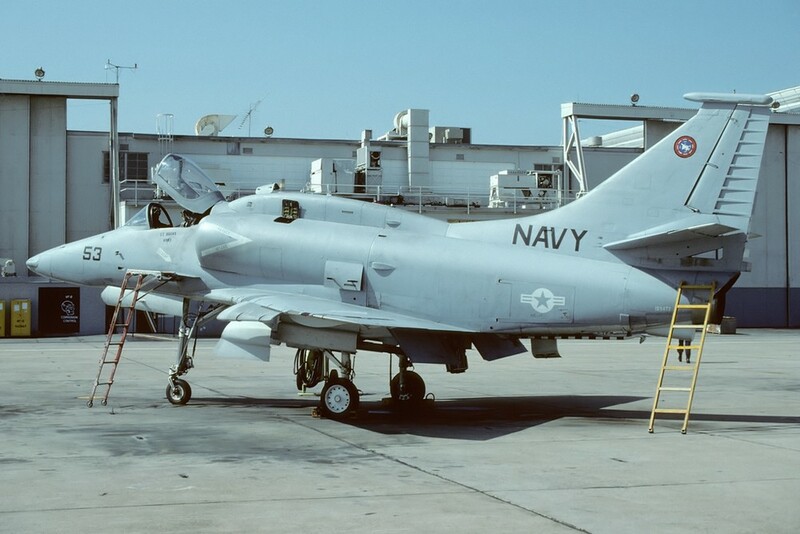 They faced due to its extensive use structural problems and had to be withdrawn from use after their use with NSWS and VF-126 at Miramar. 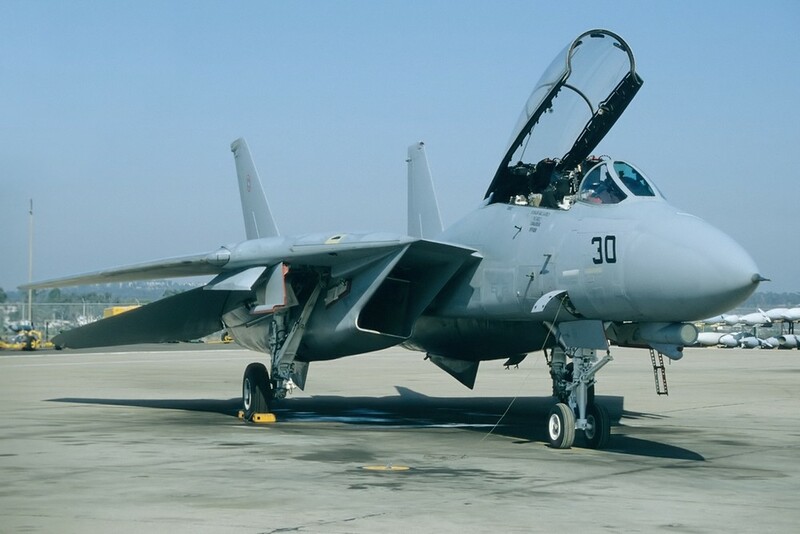 In the 1990s Top Gun added ground attack to its syllabus to cope with the multi-mission-role that the carrier aircraft have nowadays. 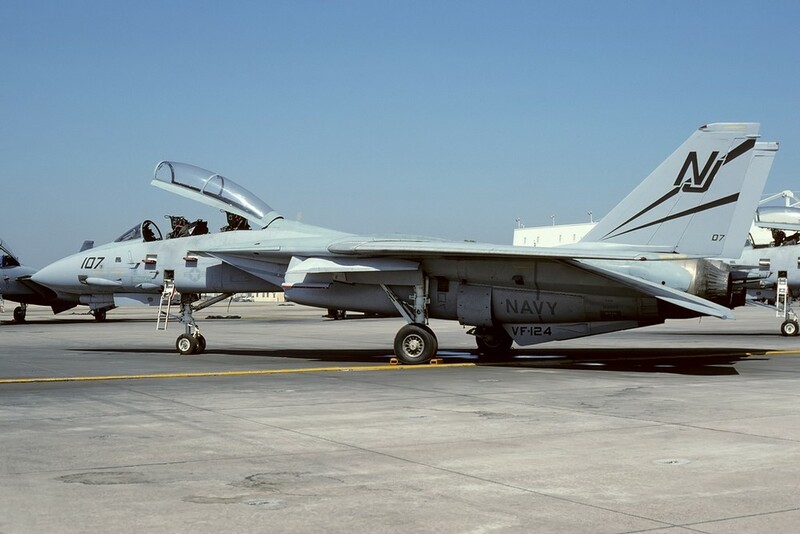 1996, Top Gun was integrated in to the Naval Strike and Air Warfare Center (NSAWC) and moved to Naval Air Station Fallon in Nevada. 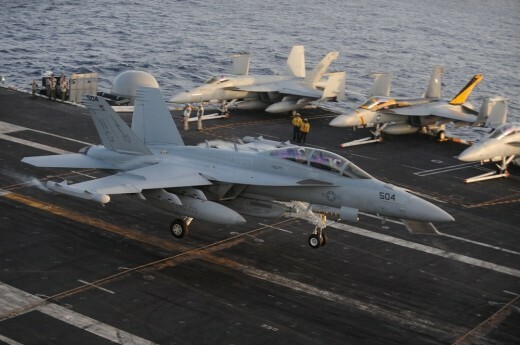 There, they’re flying the F-18A+-D, F-18E/F, EA-18G, F-16A/B, E-2C and HH-60S. 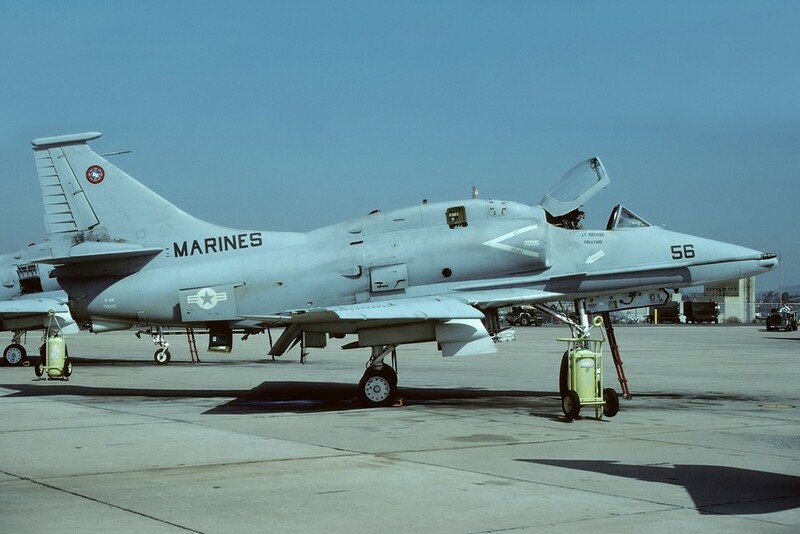 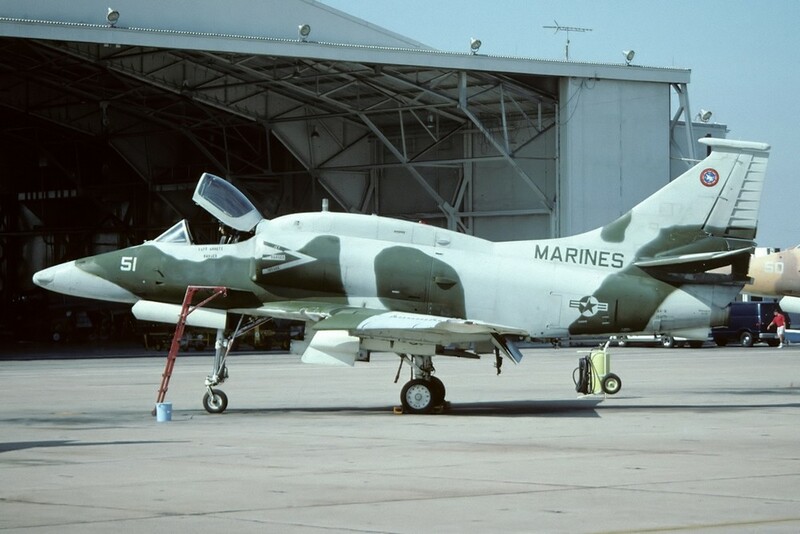 One reason for the move was the closeness of various ranges near Fallon, Nv., another reason was that NAS Miramar was shifted to the United States Marines Corps, which moved with the MAW-3 from MCAS El Toro to MCAS Miramar. 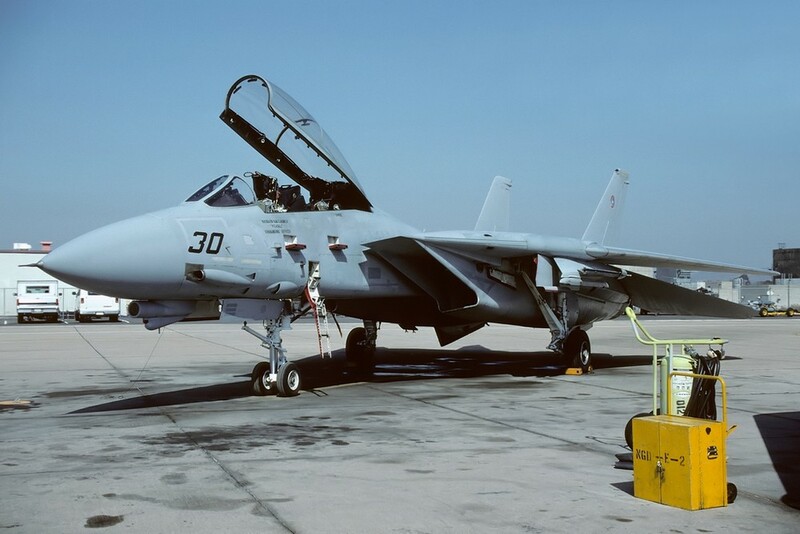 Around the same time the active F-14 Tomcats of the Pacific fleet were removed to NAS Oceana, Va..
Top Gun got famous for the same-titled movie with Tom Cruise. 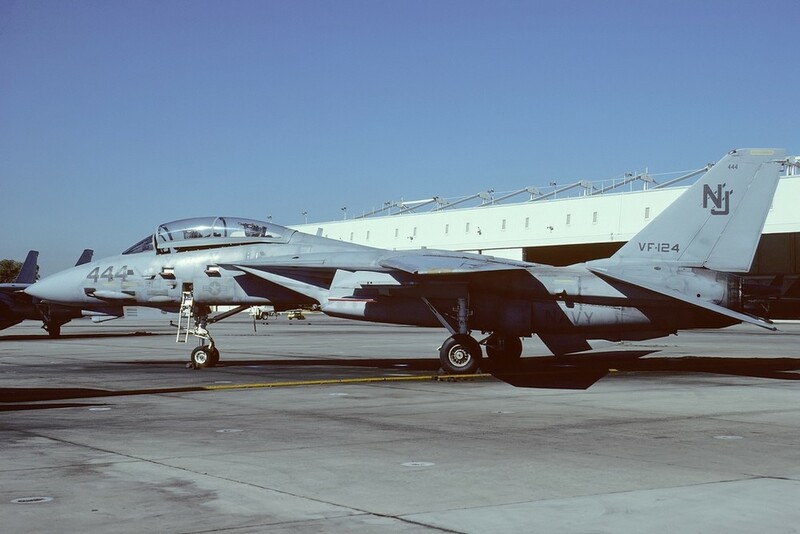 The pictures for this report were done during visits to NAS Miramar between 1990 and 1993.